This week is the quiet before the storm, at least stateside it is. One week before Captain America: Civil War kicks off the summer movie season and yet it has already amassed an estimated $200.2 million international opening, a mere one million dollars behind Avengers: Age of Ultron's $201.2 million from last year. In our prolonged wait for the next installment in the Marvel Cinematic Universe though, U.S. audiences were delivered the first big screen attempt from comedy duo Key & Peele who ended the run of their popular sketch comedy show last fall. While Keanu, a movie about two friends who hatch a plot to retrieve their stolen kitten by posing as drug dealers for a street gang, was the biggest news of the weekend it was still rather quiet news when compared to the numbers The Jungle Book is still racking up. In its third weekend the Jon Favreau "live action" film earned another $42.4 million ( dropping only 31% from last weekend) as the film's domestic cume climbed to $252 million with its global cume now at $684.7 million. This reign will of course come to a close next weekend as Civil War is expected to destroy everything in its path making the other new releases this weekend all the more forgettable. Besides Keanu, there was also the latest Gary Marshall-directed holiday movie in the form of Mother's Day, but despite a plethora of famous faces the movie was only able to garner an $8.3 million opening weekend. Not great when compared to Valentine's Day's $56.2 million opening back in February 2010. The other wide release was the video game adaptation Ratchet & Clank which only stole $4.8 million worth of that younger audience away from The Jungle Book. And while Keanu was the top new release of the weekend it was only able to muster $9.35 million, which isn't terrible considering its $15 million budget, but not great when it had to settle for third place behind not only The Jungle Book, but The Huntsman: Winter's War as well. 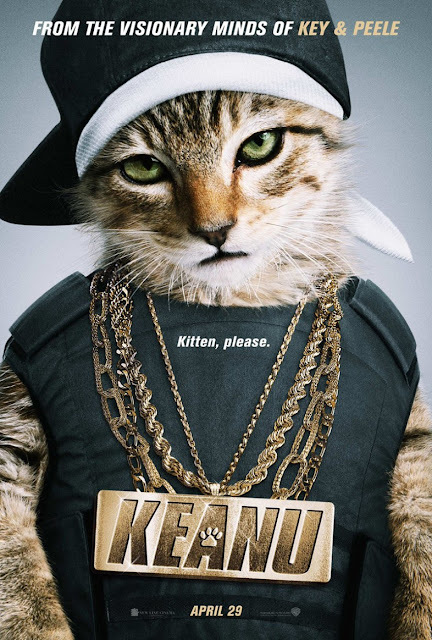 All of that out of the way, Keanu is a fun if not minor enough blip to tide audiences over until the real fun begins this Friday. As always, you can hit the jump to see the full video review and be sure to subscribe to our channel for a new review every week!